Willow Valley is a very special place nestled in a hidden valley. Trees of all shapes and sizes grow on the rolling green hills, and pretty flowers dance in the meadows. Only the animals who live there know their way in and out – but they hardly ever want to leave, because they’re having too much fun! Now it’s Riley the mouse’s birthday, and his friends can’t wait for the party! 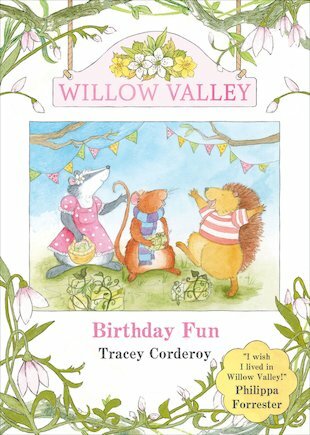 His best friends Starla the badger and Horatio the hedgehog have a surprise in store. What will Riley’s present be? The first book in a beautiful new series to delight any fan of the Brambly Hedge books.